Hey there, friends! I thought I would introduce a new series I decided to do over here on helloalley.com, Wellness Wednesdays! Each Wednesday I’ll be curating a post on health, fitness, skincare, beauty/wellness regimens and much more! 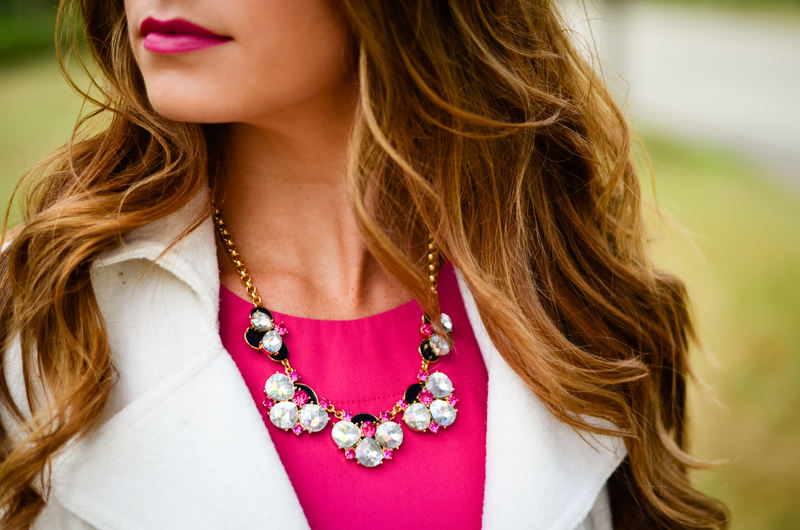 Today’s post: all about your pearly whites. 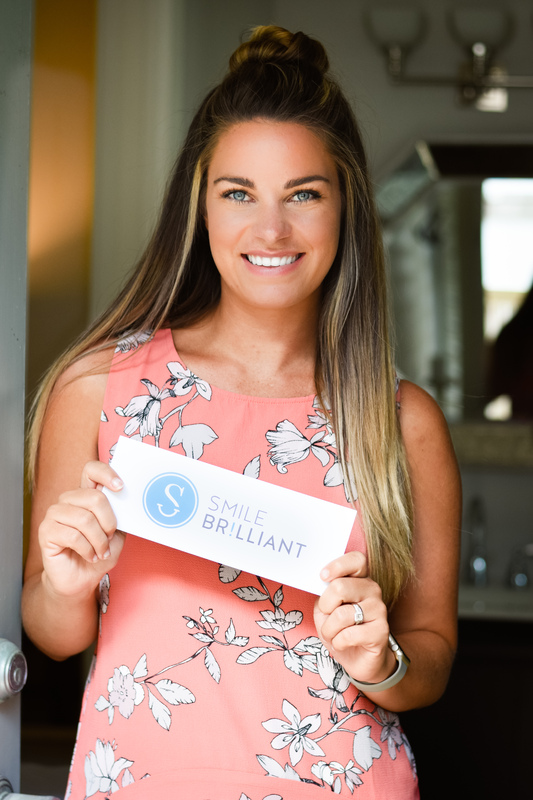 Whether you’ve whitened your teeth in the past or never whitened them before, our smile naturally yellows overtime due to coffee, tea, coke products and aging. 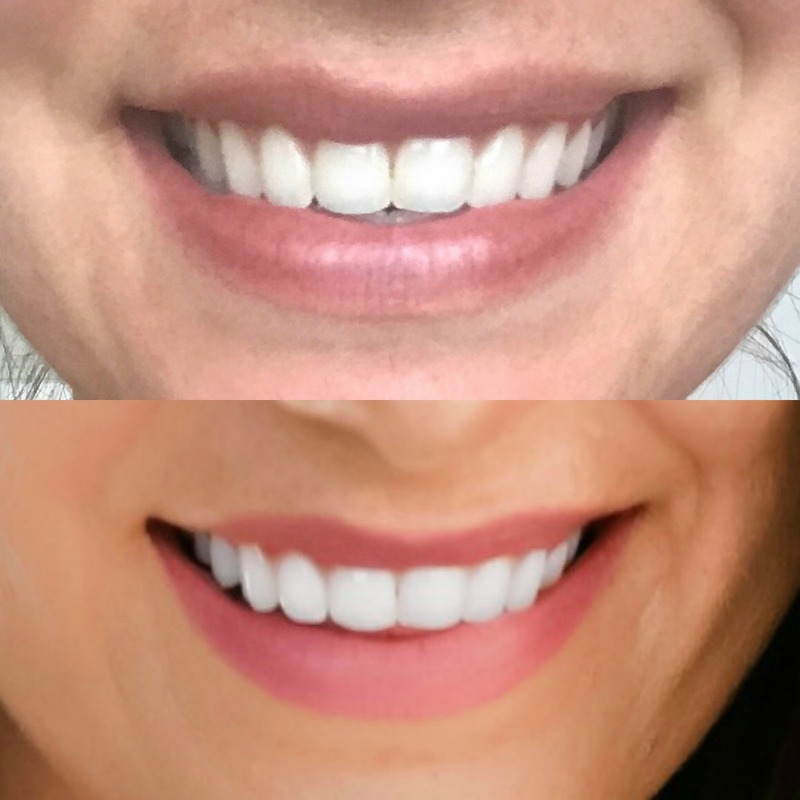 I’ve touched up with different brands of white strips before, but I’ve never found anything that could actually get in between the creases of my teeth (my problem area!) No matter how much I floss, my teeth naturally get more yellow in between each tooth. 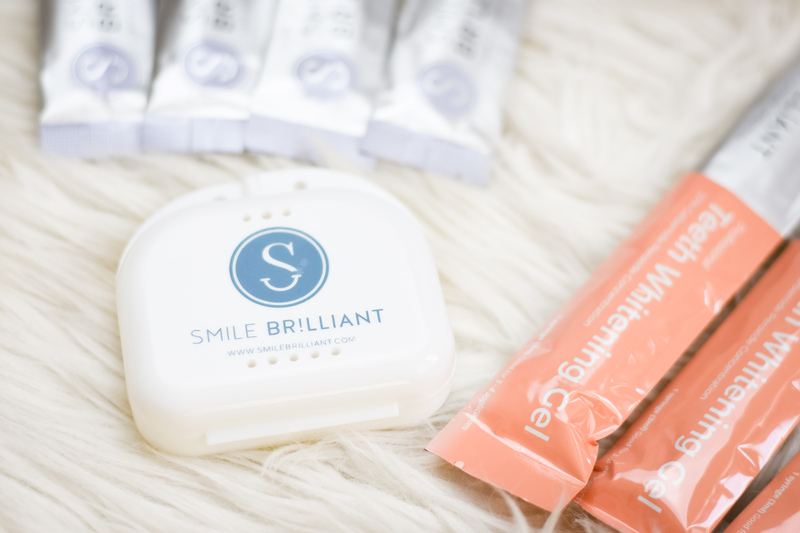 When I came across Smile Brilliant’s custom at-home whitening system, I knew I had to try it. I did a little research and saw that this system was based primarily off of the fact that you get to create custom molded trays. I love this because every inch of your tooth is exposed to the whitening gel! 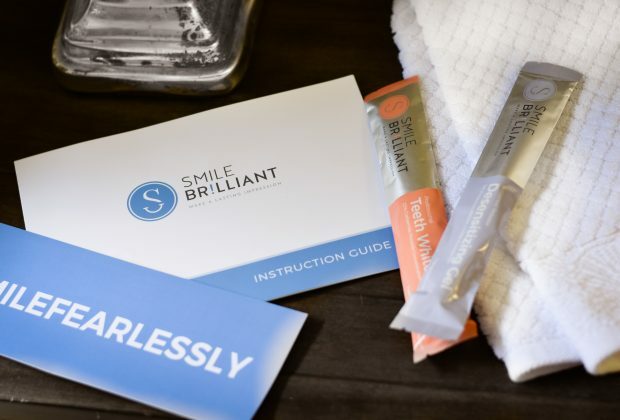 Smile Brilliant sends you a kit complete with whitening gel, de-sensitizing gel (if desired) and clay molds to create the custom fit! I was worried I wasn’t going to be able to figure it out, but the kit also includes instructions about creating the molds. Next, you send the molds back to Smile Brilliant (in a pre- paid envelope! whoop!) and a couple weeks after that, the team sends you your personal whitening trays and you are ready to start whitening! Below are a couple before and after photos– it may be a little hard to tell in the pictures since my teeth were already decently white (I try and take really good care of them because of all of the photo shoots I’m doing for Hello Alley) but if you look closely in the before pictures, you can see how yellow the gaps of my teeth were! 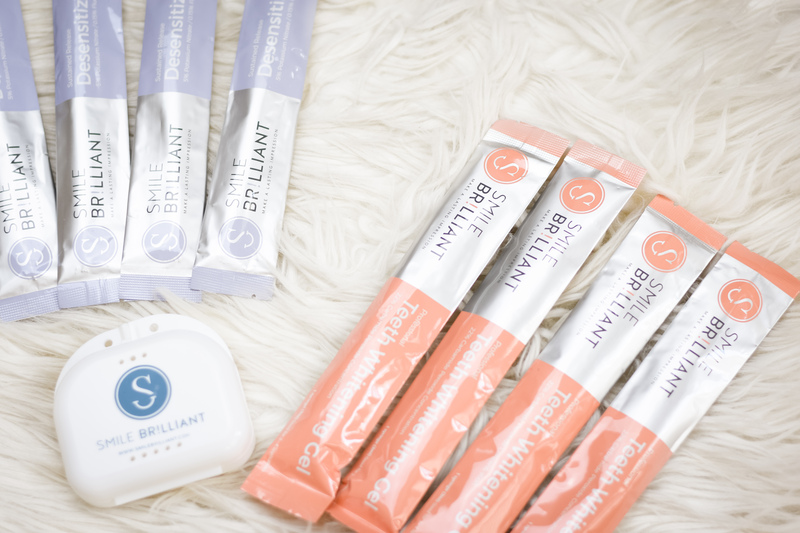 This stuff definitely works and I have a little retainer case Smile Brilliant gave me with my molds so I can order more gels when I think I need it! I love this whitening system and I love having a bright white smile even more! Talk about a confidence booster! Keep scrolling below for a giveaway! One lucky winner will win a free whitening kit! 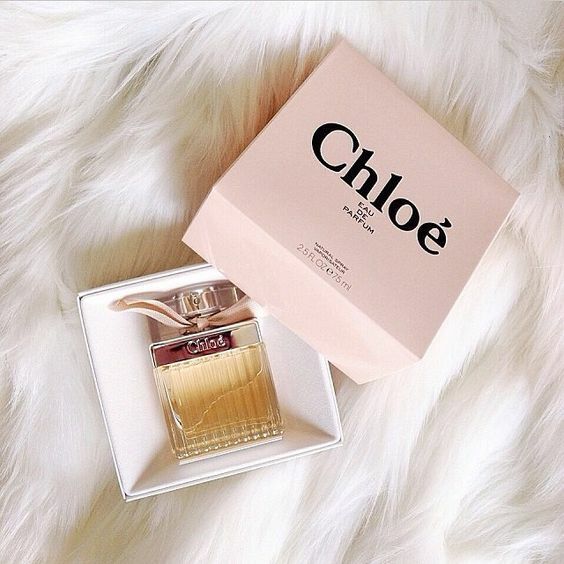 All you have to do is click this link to enter– extra entry if you follow on Instagram and the giveaway will be open until next Wednesday! GOOD LUCK BABES! 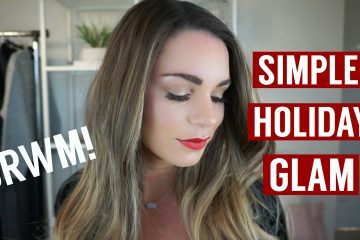 PS use code helloalley20 for $20 off! !